Markam Fashion was selected to take part among other 9 companies at the CPD Trend show in Düsseldorf from the 10th of February till the 12th of February 2008. The catwalk show had 2 editions every day at the Fashion theater during the International Fashion Fair in Germany. 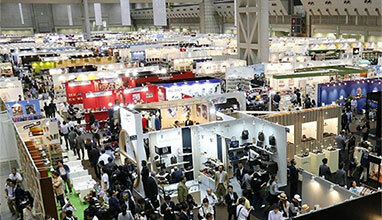 More than 2000 exhibitors from all over the world were presented at the fair. Markam Fashion was the only Bulgarian brand name singled out for the catwalk. The team at the Association of German Fashion and Textile Designers (Verband Deutscher Mode- and Textil-Designer e.V. – VDMD) chose Markam to feature its designs in 2 themes : “The Queen’s Warriors” and “Snow time”. The Bulgarian models were alongside with models of Anna Scott, Rimini, Bandolera etc. The trendsetting show “Queen’s warriors” was staged in aggressively smart and emotionally strong Black – the colour of the 8 outfits of Markam Fashion. Two outfits of Markam were in cosy creamy colours for the “Snow time” final spectacle. Markam Fashion presented the new Autumn/Winter 2008/09 collection “Look at yourself” at the fairs “Showroom” in Amsterdam, “Fashion Premiere” in Salzburg, Styl in Brno, CIFF in Copenhagen, CPD Düsseldorf. There are 3 targeted looks in the design: City; In focus, and Exclusive. City pursues the dynamic, contemporary woman in her leisure time making her feel naturally as well as comfortably in the line of “urbanized nomad.” The accent is on the A and O silhouette. The fabrics are natural with fine body touch, velveteen, and leather over them. 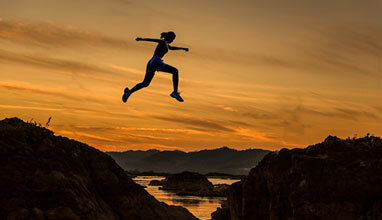 In Focus is for the active, confident, positive woman. The silhouette is smart – clear line, perfect quality, composed elegance that strikes with respect. The fabrics are of high technological, modern, and futuristic kind, harmonized with natural materials. Exclusive discovers the special woman, the special event – sparkling world, as of a stage, quality and luxury. The woman on the Red carpet! The silhouette is classic and feminine, ultra-modern with surprising line and volume. The materials are exquisite and alien, with visual effects, varied surfaces. The colors of the collection are compound, profound, and dramatic: color of patina – copper and silver, black and stone-coal, violet and red, purple and burgundy, and of course white. They paint the modern and futuristic picture for the next season of Markam Fashion. The “Look at yourself ” collection can be viewed in all showrooms and offices of the representatives in Czech Republic, Austria, Holland, Hungary, Romania, Croatia, Slovenia, Serbia, Spain and Russia. The last 2 fairs for the Autumn/Winter 2008/09 trends of Markam Fashion are in Vienna and CPM Moscow.